74 pages | 10 B/W Illus. In order to create truly sustainable universities, we require new methods of visualising and interpreting them holistically as institutions built on complex relationships and systems, rather than as individual departments and people operating independently. 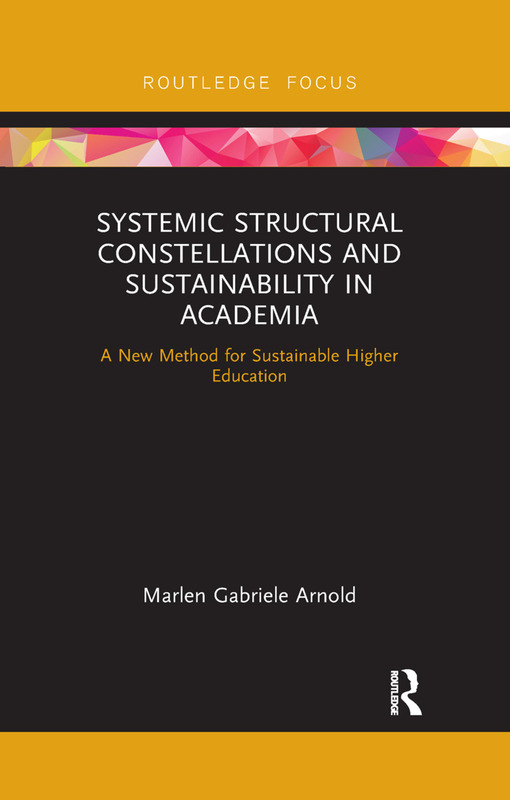 This book uses a systemic structural constellations approach to demonstrate how we can build more sustainable higher education institutions, both in terms of teaching and research and at an operational level. Drawing examples from current research and teaching, Systemic Structural Constellations and Sustainability in Academia explores how universities are not only centres of teaching and learning but can also play a crucial role in enabling future decision-makers to appreciate and contribute to a more sustainable future. Providing a clear introduction to systemic structural constellations and guidance on how to practically apply the theory to numerous aspects of the higher education system, this book will be of great interest to students and researchers of education for sustainable development, organisational learning and sustainable management, as well as those tasked with transforming the higher education system for the future. This book is a thrilling lecture describing how systemic structural constellations can be used within academia to foster education for sustainability. Although still rather exotic in academia, constellations allow dealing with the ambiguity and complexity of system dynamics, relationships and goals inherent to sustainability, and supporting the integration of varying perspectives. I see a huge potential in systemic structural constellations to combine ratio and intuition in research and teaching. Dealing with complexity requires new methods to irritate mental patterns of researchers, students and decision makers in all institutions to find new hypothesis. Systemic structural constellations are able to irritate in a very gentle way. This book offers crucial insights how transformative science and academic transformation can succeed and be fostered. Precisely, the active involvement of diverse stakeholders and the integration of intuitive and rational thinking enable real transformation. This book is a key contribution to the necessarily paradigmatic, institutional and methodological reform in academia. A really useful and innovative contribution to the question of sustainability of change within academic institutions as well as for the development and transfer of knowledge and abilities by these institutions. Furthermore, a well-structured overview for the basic aspects of the systemic structural constellations approach and a wealth of ideas for academic application. Marlen Gabriele Arnold is a researcher and course co-ordinator at theTechnical University Chemnitz, Germany.